Dolson totaled 11 points (4-6 FG, 1-1 3Pt, 2-2 FT), six rebounds, two assist, one steal and one block in Sunday's 97-92 home loss against the Sky. After a two-game absence, Dolson reached double figures in the season finale by shooting 66.7 percent from the floor and adding two free-throws. The 26-year-old played in 27 games this year and averaged 9.7 points, 4.6 rebounds and a career-best 3.0 assists per game. Dolson added 13 points (3-7 FG, 0-1 3Pt, 7-8 FT), five rebounds, three assists and two blocks during Wednesday's 101-87 victory on the road versus the Mercury. It was the six consecutive outing that Dolson has scored in double figures, accomplishing the feat in the win Wednesday by dropping 13 points thanks heavily to a superb free-throw performance. An All-Star in 2015, the 26-year-old is averaging 10.3 points and 4.8 rebounds per contest in 2018, both of which are similar to her All-Star year. Dolson provided 20 points (10-16 FG, 0-2 3Pt), seven assists and six rebounds in the 93-76 blowout loss against Los Angeles on Sunday. Sunday's scoring performance marked a new season high for the 26-year-old, as she dropped 20 points across 62.5 percent shooting from the field while also tying a team-leading six rebounds in the loss. Since averaging 14.5 points per game last season, Dolson is only contributing 10.1 points a contest in 2018 however. Dolson totaled 13 points (5-9 FG, 1-2 3Pt, 2-2 FT), five assists, three rebounds and two steals during Sunday's 107-84 blowout loss at New York. Dolson was two points shy of a career high, as she finished with 13 points on 55.6 percent shooting while draining one three-pointer. As the starting center for the Sky on Sunday though, the 26-year-old UConn product had only three rebounds and hasn't had more than five boards in a game since July 1. Across 15 outings in 2018, Dolson is averaging 8.9 points, 4.7 rebounds and 2.7 assists per contest. Dolson managed 13 points (6-11 FG, 1-2 3Pt), five rebounds, five assists, three blocks and one steal during Wednesday's 93-80 win over Atlanta. This was arguably Dolson's best performance of the 2018 season as she tallied at least one mark in every major statistical category while dropping 13 points on 54.4 percent shooting. The 26-year-old has played in seven games so far and is averaging 9.4 points and 4.7 rebounds per outing. 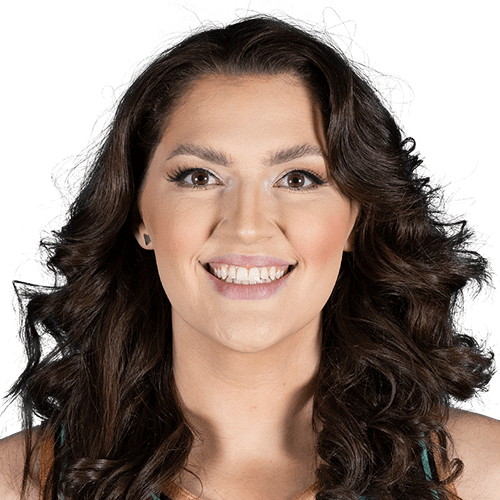 Dolson (foot) returned after seven straight absences, posting 13 points (5-9 FG, 1-2 3Pt, 2-2 FT), three rebounds and one steal in 15 minutes during Friday's 93-77 loss to the Mystics. Dolson wasted no time returning to form Friday, dropping a season-high 13 points in her return from nearly a month-long absence, despite seeing a season-low 15 minutes. In her four previous outings, she hadn't seen fewer than 24 minutes. Presumably, she'll work her way back up to a usual workload. Last season for Chicago, she averaged 14.5 points, 5.8 rebounds, 2.6 assists and 1.3 blocks across 29.3 minutes while shooting an impressive 56.1 percent from the field. Dolson (foot) is listed as questionable for Friday's game against the Mystics. After missing seven straight games, Dolson's questionable tag for Friday is the first sign that the center may be close to returning to the court. However, with no report of Dolson being able to practice yet, chances are she remains sidelined Friday night, but she should still be considered a game-time call at this point. Dolson (foot) has been ruled out for Tuesday's matchup with the Mystics, Albert Lee of the Swish Appeal reports. Dolson has been sidelined for seven straight games and at this point, there doesn't appear to be a clear date that the Sky are targeting for her return. She'll continue to go through a heavy dose of rest and recovery as a result and a rematch with the Mystics on Friday will be Dolson's next opportunity to take the court. Look for Astou Ndour to draw another start at center, though she's averaged just 7.5 points, 4.5 rebounds and 1.0 block across 20.8 minutes so far this season. Dolson (foot) will remain out for Sunday's matchup with the Aces, Andrew Joe Potter of The Score reports. Dolson has been sidelined more than two weeks now, as she continues to work her way back from a foot injury. The Sky have yet to update her timetable for a return and with only a short rest until Tuesday's tilt with Washington, there's a decent chance Dolson is held out of that contest as well. Astou Ndour should continue to work with the starting five for the duration of Dolson's absence. Dolson (foot) is not expected to play in Tuesday's matchup with the Storm, Andrew Joe Potter of The Score reports. Dolson is slated to miss a fifth consecutive contest and has yet to be given any sort of timetable for her return. Following Tuesday's contest, the Sky have nearly five full days off before Sunday's tilt with the Sparks, which could be enough time for Dolson to get back on the court. That said, tentatively consider her questionable for that contest and Astou Ndour should remain in the starting five in the meantime.